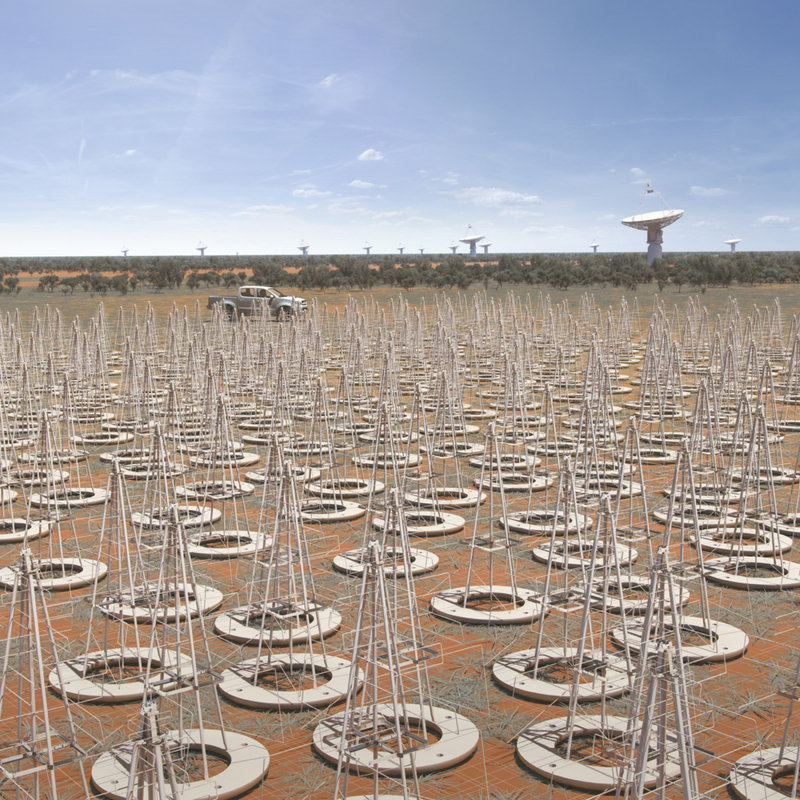 Artist impression of the Australian SKA LFAA instrument (Low Frequency Aperture Array). 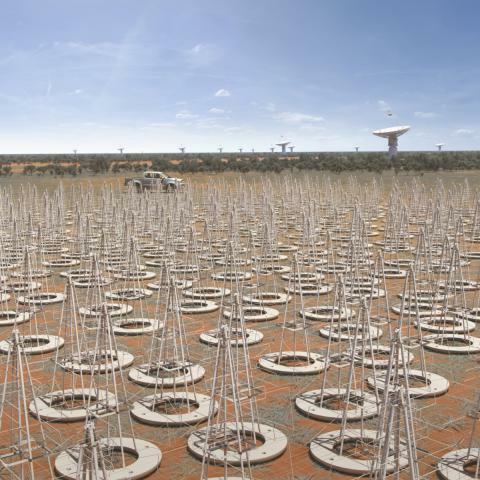 The telescope will consist of 130,000 antennae spread over 512 antenna fields. The design is based on ASTRON's Low Frequency Array (LOFAR) telescope.